A hidden treasure awaits you at The Shores of Long Bayou; a special complex surrounded by lakes, bayous and mangroves with wonderful wild life that will keep you spellbound. 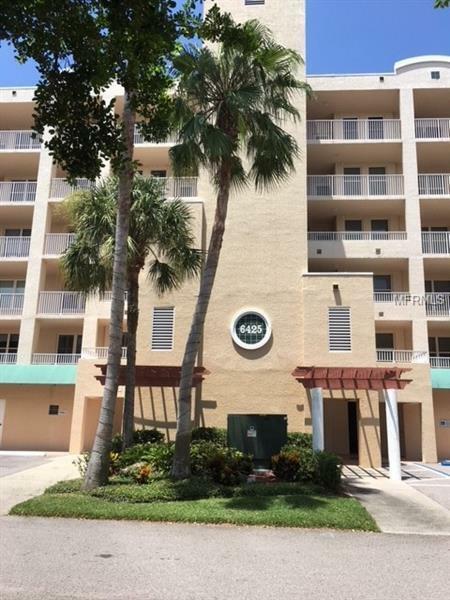 This well maintained unit features 9' ceilings, double pane windows with plantation shutters. The master bedroom has 2 walk-in closets, double sink Corian counter tops, large shower, and private toilet area. The guest bedroom is large enough to comfortably fit a full set of furniture. This unit also features a third bedroom/den/office. Enjoy an eat-in kitchen and a spacious great room with crown molding where you can entertain your family and friends. This condo includes an enclosed porch plus open lanai which is the full length of the condo (33X9) for outdoor dining and watching the stunning evening sunsets. This unit has plenty of storage, one just outside the front door plus a private under building one and a half car garage that conveys with this unit. The Gulf Beaches are minutes away. Enjoy shopping at the new Seminole City Center, with stores, movie theater, and restaurants. You will love living a great life in this Gated Community. EZ show. Copyright © 2019 Mid Florida MLS. All rights reserved. The data relating to real estate for sale on this web site comes in part from the Internet Data Exchange Program of Mid Florida MLS. Information provided is for consumer's personal, non-commercial use and may not be used for any purpose other than to identify prospective properties consumers may be interested in purchasing. Northstar Realty participates in the MFRMLS Internet Data Exchange (IDX) program, allowing display of other MFRMLS broker's listings on this site. However may not include all listings currently available. Information is deemed reliable but not guaranteed. Information last updated at 2019-04-20 21:55:47.